RUD offers our RUD Fit Cardio class as part of corporate wellness programs. 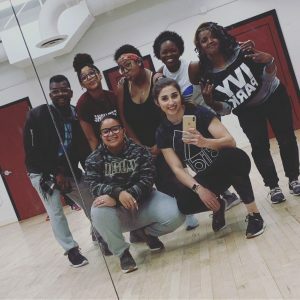 We come to you and provide a 60 minute cardio class with great music, moves, and energy! Our instructors are CPR certified and can offer insight into general health and wellness. We also have a Certified Holistic Nutritionist on staff. We would love to work with you, let’s chat! Register before coming to class!